PEFTEC 2017 presentation shows ASTM D8071 applied to oxygenates not specified by the method. 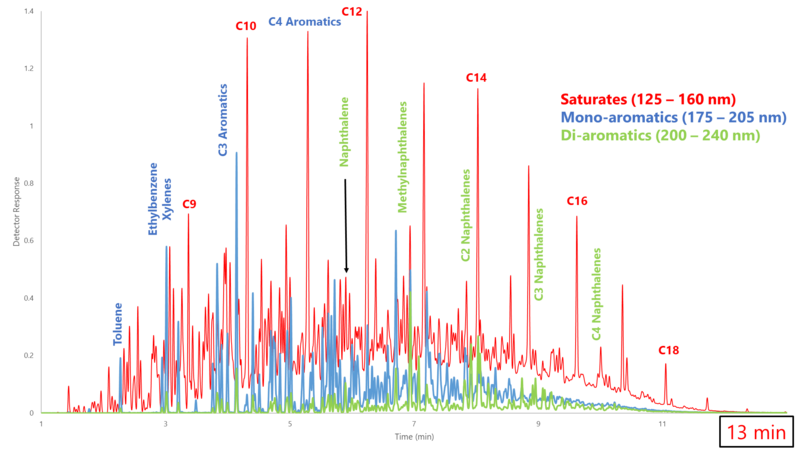 GC-VUV PIONA GC analysis comparability w/ Reformulyzer is demonstrated. 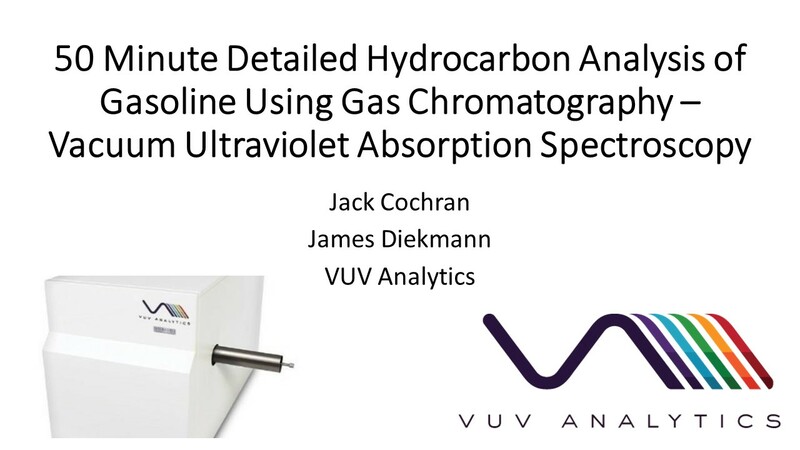 GCxGC-VUV analysis of middle distillate samples also shown.